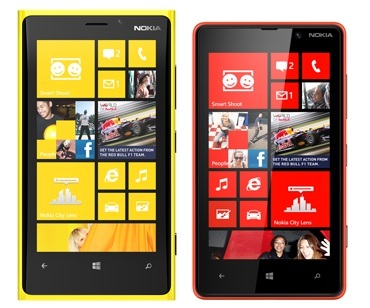 We have already informed you that the much-awaited duo, the Nokia Lumia 920 and Lumia 820 running on Microsoft’s Windows Phone 8 OS are officially launching in India on January 10th, 2013 (tomorrow), and today the smartphones have been listed on online retailer Flipkart with a ‘Coming Soon’ tag. While we have already seen the devices appearing on TheMobileStore, the prices of the smartphones are not confirmed and the retailer is taking pre-orders for the Lumia 920 at Rs.39,999 and the Lumia 820 at Rs.29,999. But Flipkart has priced the Nokia Lumia 920 at Rs.36,999 and the Nokia Lumia 820 at Rs.26,999. TheMobileStore has clearly stated that the prices of the smartphones are not confirmed and once they have the official pricing, they would refund the excess amount to people who pre-order the devices. With the official announcements and pricing coming out tomorrow, we expect the smartphones to go on sale soon after. Also do let us know which one are you waiting to buy.